You might fill that blank space with any of the following: brochure, business card, logo, website, newsletter, presentation, banner, ad, social media tile, etc. While we happily design all of these things (and more! ), we really excel at helping our clients articulate the marketing problems they want to solve first, and then collaboratively decide on the best design and marketing solutions for those problems. Doughnuts-R-Delicious comes to us with an idea for a card to hand out to customers to promote a new location and updated menu. At first glance, it seems that the problem Doughnuts-R-Delicious needs to solve is: We need promotional cards. Who can design them for us? On closer examination, however, the actual problem Doughnuts-R-Delicious needs to solve is: How do we most effectively get the word out about our new location and updated menu? They’ve come to us with the assumption that the best solution to this problem is a well-designed promotional card, but is a card really the best way? Maybe not. Here’s why. When we discuss the project with Doughnuts-R-Delicious, we learn that the target audience for this card is their current client base, which is mostly made up of young families. Given our marketing expertise, we recommend that they advertise the new location and updated menu through their social media accounts, including ads on Facebook and Instagram. With this method, they’ll be able to target their ads based on demographic data and interests and reach their target audience on a much larger scale than they could with just promotional card. They’ll also have the added benefit of current followers liking and sharing their social media posts with their friends, providing an even larger reach. So instead of designing the promotional cards, we design a few fun social media tiles with clever captions and show Doughnuts-R-Delicious how to set up the ads. The result? A less expensive AND much more effective solution to the actual problem. Original Problem: We need to update our business cards because they are outdated and we don’t like them. Original Solution: We will work with a creative firm to update our business cards. Actual Problem: We don’t have a brand that adequately expresses what our business represents and we need help creating a new image and an identity. Updating our business card is part of that. 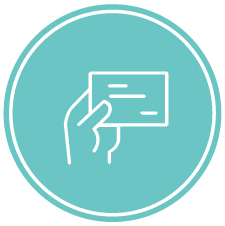 Actual Solution: We will work with a creative firm to update our brand to better reflect our values and identity, applying the updated brand to all marketing materials (including business cards) to make sure we’re consistently communicating the mission and values of our company to potential customers. Original Problem: We want to show people something that brings awareness to our cause. Original Solution: We’ll work with a creative firm to make a video. Actual Problem: We have an important message that we want to make as widely known as possible, especially to the group of people that could be the most at risk for the issue. Actual Solution: To make sure our message reaches the most people, we need to work with a creative firm to make a video and create a multi-channel marketing plan to raise awareness and direct people to the video. 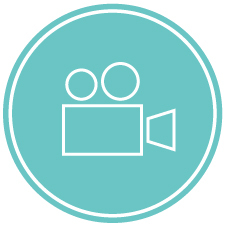 A video is part of our multi-faceted solution. In these examples, a business card on its own won’t communicate your brand identity unless you get clear on your mission and reflect that across all marketing channels. And a video on its own won’t bring much awareness to your cause unless you have a plan to promote it and get conversations started. Working backwards is funny that way. Just because you think you need a certain solution, doesn’t always mean that it will solve your actual problem. Sometimes defining your problem IS the biggest problem! Need help defining and then solving your design or marketing problem? We’d love to help! Get in touch here.